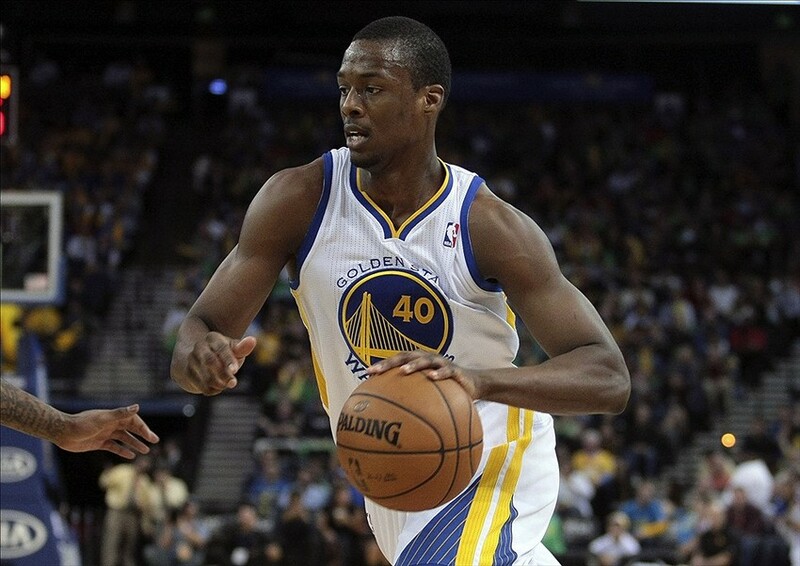 Golden State Warriors: How Has Harrison Barnes Been Since Returning? The Golden State Warriors’ bench has been criticized so far this season for their lack of production offensively. The bench certainly got a significant boost when Harrison Barnes returned to the team Nov. 6 against the Minnesota Timberwolves after being held out with left foot inflammation since Oct. 7. Barnes is expected to be the Warriors’ sixth man and primary offensive option off the bench. With the addition of Andre Iguodala in the offseason, there was much speculation regarding whether Klay Thompson or Barnes would start. Coach Mark Jackson decided before the season started that Thompson would start and Barnes would come off the bench. This decision might have been made by default though, since Barnes was out for most of the preseason with his foot injury. In his return on Nov. 6, Barnes didn’t look like he had been out for a month with an injury. He was limited to just 14 minutes, but he finished with 14 points on 6-for-8 shooting. In his first five minutes, he had eight points and a steal. In this game, Barnes looked as dominant as he did in the Warriors’ playoff series against the Spurs last season, and he appeared to be the missing piece to the struggling Warriors’ bench. Most importantly, the bench has lacked someone who can create their own shot. Barnes showed his ability to do just that in his first game back. He would take a few dribbles then pull up for a 17-foot jump shot, or he would score on post-ups or drives to the basket. After Barnes’ impressive season debut though, he struggled in the next two games. Against the San Antonio Spurs on Nov. 8, Barnes played 21 minutes and finished with five points on 2-for-6 shooting, starting in place of injured Stephen Curry. 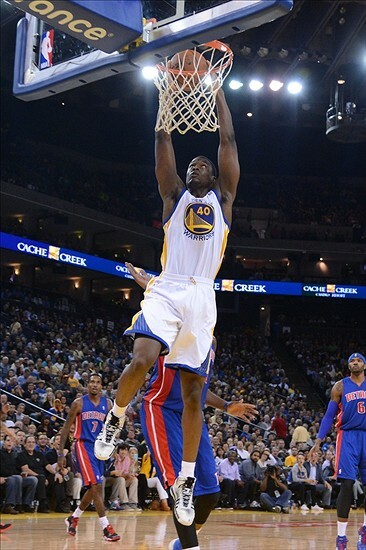 Against the Memphis Grizzlies on Nov. 9, Barnes played 19 minutes and finished with four points on 2-for-7 shooting. In addition to his poor shooting, Barnes also only had two rebounds and one assist in both games. Last night against the Detroit Pistons, Barnes played 25 minutes and finished with eight points and three rebounds on 4-for-8 shooting. Barnes had a nice dunk in the game last night, but, overall, it was just an average performance. So, since returning, Barnes has been somewhat inconsistent. Not to make excuses for him, but he is a young player who is continuing to adjust to the NBA and develop as a player. In addition to his development as an effective NBA player, he’s also playing a new role for this Warriors team than he did last season. After starting every single game he played in last season, he’s coming off the bench and will be the sixth man for the Warriors. This will be a significant adjustment for him, especially given the fact that it’s just his second year in the NBA. After not practicing or playing in games for a month, Barnes is also still working his way back into game shape. Jackson limited Barnes’ minutes on the road trip, but, as of now, he’s not under any minute restrictions. Barnes will eventually get into basketball shape, which will allow him to play more freely and regain his form. Barnes just needs more experience and more playing time to play as effectively as he did in last season’s playoffs and to adjust to his role as a sixth man. Warriors fans need to be patient. Some Warriors fans feared that Barnes’ new role at sixth man will hinder his development. However, Barnes will bring to the bench exactly what they have been lacking so far this season. He will be the first option off the bench, so he needs to be aggressive on offense and become that sparkplug that the Warriors need. Barnes has been inconsistent so far this season, but he will slowly develop into an effective, reliable sixth man for the Warriors.